Join the Club … The CFSI Associates Club! 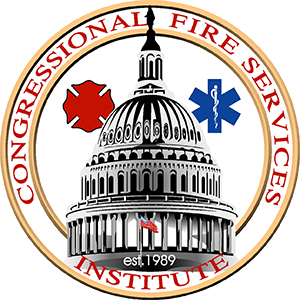 CFSI’s mission is to promote the value and needs of the American fire service to members of Congress. Gaining consensus in Washington, DC on important issues that impact our nation’s fire and emergency services and the industry as a whole can make the difference between legislation becoming public law or never seeing the light of day. Fire departments need federal funds to meet their baseline requirements when local funding has been exhausted. This is why Congress established the Assistance to Firefighters (AFG) and Staffing for Adequate Fire and Emergency Response (SAFER) grant programs and why CFSI fights to keep these programs authorized and funded! AFG and SAFER not only benefit the fire service, but also the fire service industry — an industry that is primarily composed of companies based in the USA! The United States Fire Administration (USFA) and its four core missions of training, data collection, education and research. Other federal programs that serve essential roles in public safety communications, wildland-urban mitigation and suppression, emergency medical services, and firefighter health and safety. CFSI supports you by making sure programs that benefit our nation’s first responders remain top of mind among federal leaders — programs such as AFG, SAFER, USFA and PSOB. Now we ask you to support us. Become a member of the CFSI Associates Club — a program designed for individuals and departments that value CFSI’s mission and want us to stay strong. For a minimum pledge of only $10, you can become an Associate Club member and receive a special CFSI Associates Club lapel pin. You can also consider a larger pledge as many of your peers have done. Either way, your support will help make CFSI even more effective as your advocate on Capitol Hill. IMPORTANT NOTE: For nearly 20 years, CFSI has been at the forefront of every legislative effort to fund AFG and SAFER. To date, the programs have awarded over $13 BILLION in grants to fire departments and fire organizations. CFSI has never applied for or received a grant. We want this money to go to your departments. So instead, we ask you to Join the Club, so CFSI can continue supporting you and your fellow firefighters and emergency services personnel. So here’s your opportunity to help the one organization in Washington, DC that builds partnerships in our nation’s capital to advance the fire service agenda: the Congressional Fire Services Institute. Register now so you can begin to enjoy the benefits the CFSI Associates Club Program offers. By doing so, you will help make a difference on Capitol Hill for our nation’s firefighters and rescue personnel.